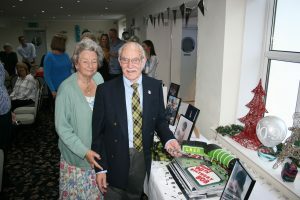 Happy 90th Birthday Councillor Mims! The town council is delighted to wish Councillor Bob Mims congratulations on his 90th birthday on Friday 16 November 2018. He continues to participate in council meetings and to offer his expertise to Hayle. His most recent significant contribution was to design and draft the plans for the improvements at the Hayle War Memorial. Long may his enthusiasm continue!